How far should you stop behind the car in front? Home › Advice › How far should you stop behind the car in front? At an intersection, set of traffic lights or in a queue of vehicles, how far should you stop behind the car in front? You can close your air vents if the vehicle ahead produces a lot of exhaust fumes. As you can see in this diagram, there are two lanes of traffic that have stopped at a pedestrian crossing. The left lane fits 6 vehicles in, while the right lane fits only 5. If heavy traffic is moving slowly and consistently, and the road is not uphill, stopping close to the vehicle in front poses little risk; leaving a lot of room between you and the vehicle in front means that less vehicles can fit in that stretch of road, and that prolongs rush hour. However, if you are approaching a T intersection, traffic lights or a pedestrian crossing and traffic is light, try to leave enough gap to see where the tyres touch the tarmac in the vehicle ahead. 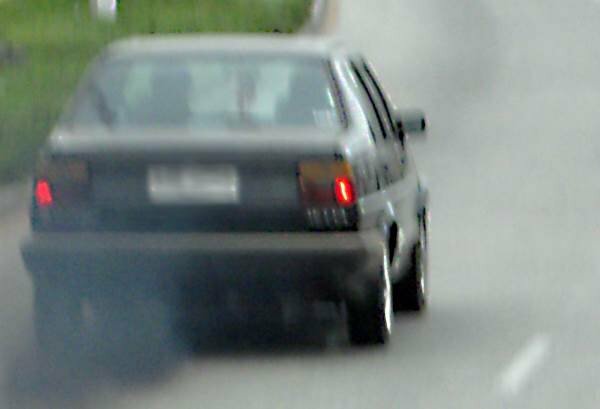 ‹ Can you get a fine for a smoky exhaust?